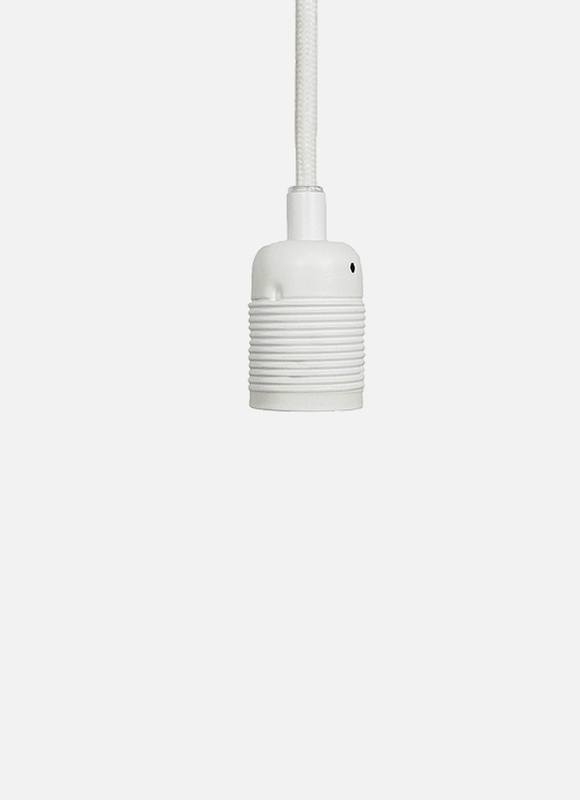 An industrial and straight forward looking bulb socket with a refined finish combined with the textile cord in graphic black or white fabric. The Frama E27 is made for pendent purpose. Socket available in: brass, steel, copper, black chrome, mat black, copper brown, mat white, bronze and grey with grey cord.